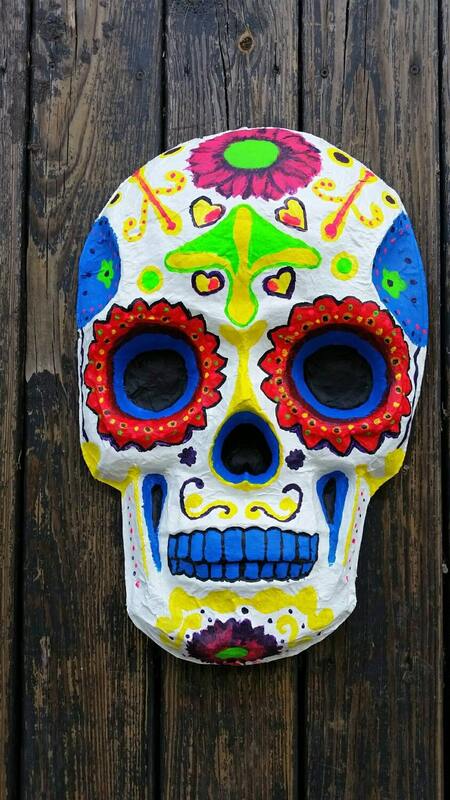 For me, the Day of the Dead or Dia de Muertos is a beautiful holiday. I find the festivities hauntingly beautiful and I have fallen in love with the holiday, the art work, the festivities, and the attire. The holiday celebrates those who have passed from this world and allows those who remain to try and glimpse the souls of our lost loved ones. 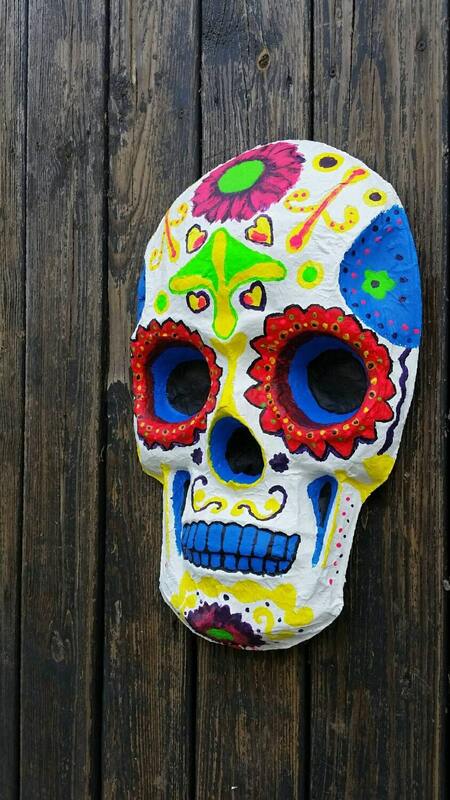 I wanted to incorporate Day of the Dead decorations into my designs, in particular a Dia de Muertos skull. My search proved fruitless so I turned to paper mache. For centuries paper mache has been used as a medium to produce gorgeous works of art. Beautiful, intricate, and light weight sculptures, masks, and dolls can be created using paper mache representing many different artistic styles. It is such a versatile medium and I always enjoy working with paper mache. 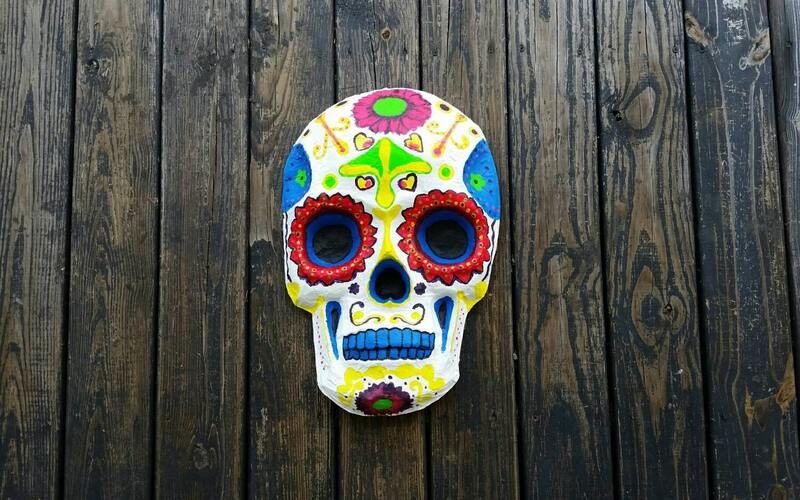 It is the perfect medium for Day of the Dead art. 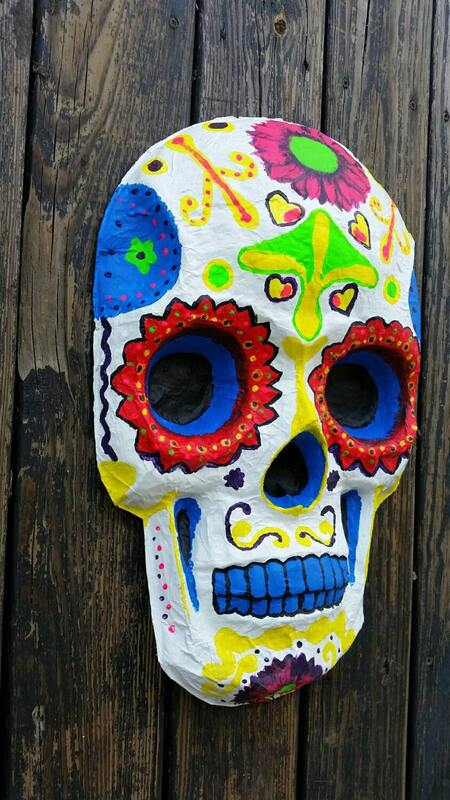 This Day of the Dead skull was created by hand from paper mache. 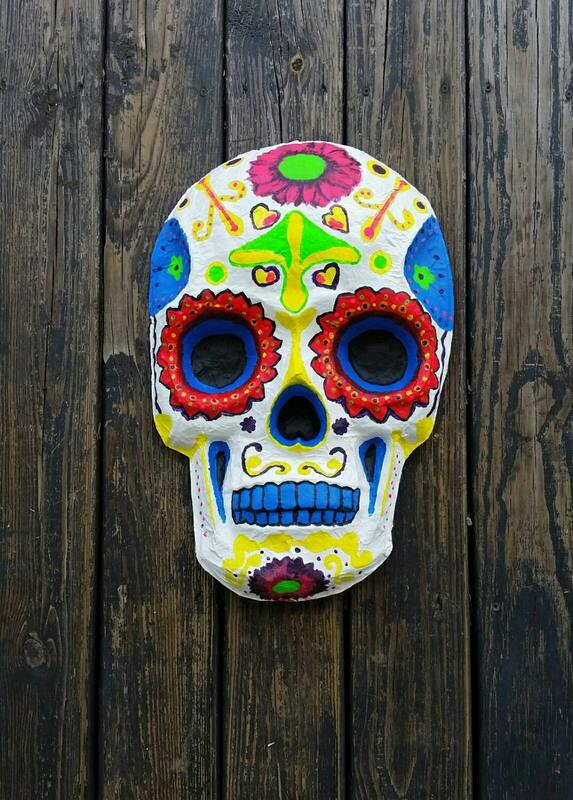 Once the design was fully dry and cured, I hand painted the skull with vibrant colors which helps ward off evil spirits. The skull measures 22 inches long, 16 inches wide, and is approximately 4 inches thick. It is a half skull.